Think of how you feel when you smile. If you are embarrassed by your teeth because they are not as white and bright as they were in the past, you may not smile very often. You are ready for a smile makeover, so you can smile with confidence. You have a number of options for teeth whitening. Your dentist’s approach is the best option. Unlike over the counter whitening products, whitening as dental treatment is easy and effective. As you complete the process at home, it is also private. Whiter teeth start with two products your dentist will provide. Your dentist will prepare trays that are the perfect fit for your teeth. He will give you a peroxide solution to use with these trays. In the privacy of your own home, you just need to apply the peroxide solution directly to your teeth. Place the tray over your teeth, and wear it for a few minutes. Depending on the condition of your teeth, you may need to repeat the process several times. You can have a smile makeover in a short period of time. It is a simple process that you can easily complete without assistance. There are many ways teeth can become stained, discolored, or dull. Your teeth may have lost their whiteness due to a poor diet, dental hygiene, certain medications, or even natural aging. 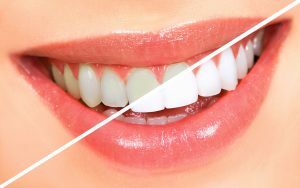 You do not have to live with unattractive teeth when teeth whitening is so easy. Look in the mirror and ask yourself if your teeth meet your expectations. If they are not as white as you would like them to be, consider Dr. Walters and his treatment options. Your smile can become your best feature when taking advantage of whitening solutions. You can be proud of your smile again.